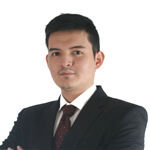 John Evans Galan is a Philippine based entrepreneur with 11 years experience in the physical commodities trading space. John started in sales with his father’s own family trading business in 2002; became the account manager for the company handling clients in the steel, paper, and cement industry after moving to running several deals in physical commodities trading globally. John is a leader who is willing to take risks and exercise initiative, taking advantage of opportunities in the market by planning, organizing and making use of resources. In addition to his responsibilities at Blackhawk expanding the Firm’s physical commodities trading business in South East Asia, John also serves as a marketing consultant to a construction company in the Philippines, RRMD helping in promoting the company’s revolutionary new method in the prefab housing industry. John is also very active in promoting Iligan City, located south of the Philippines where he was born. The city is considered the industrial city of the south and John is dealing with some of the top Business Process Outsourcing (BPO) companies in the world to invest and expand in the city. All in all, John’s business skills and expertise in trading and dealing with people brings in much value-added to Blackhawk’s trading business. John is a graduate of Asia Pacific College where he studied Business Management.